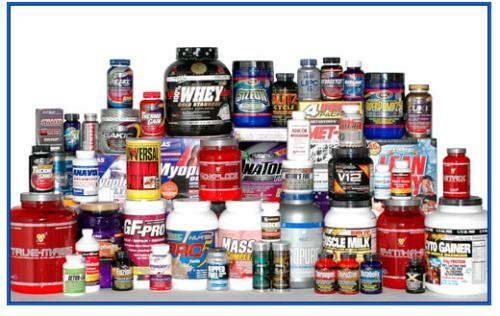 The world of bodybuilding has its fair share of supplement companies marketing their products with hyped up claims. Some of these supplements are go-to products that many bodybuilders “think” they need, when in reality, they’re really just wasting their hard-earned cash. 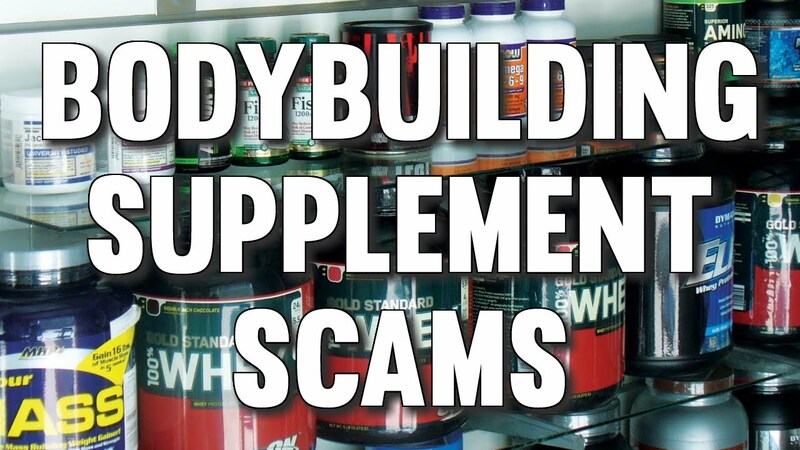 We’ve compiled a short list of the Top 4 Supplement Scams out there that have grown popular. You’ve probably bought one or more of these already! Save your money and use it on supplements that actually provide you with benefits. One of the most widely researched muscle compounds in existence is creatine. It’s been used by bodybuilders and athletes since the mid 1990’s and is most commonly sold in the form of creatine monohydrate. Over the last decade, we have seen companies out there release new “breakthrough” forms of creatine that supposedly is more effective than the original monohydrate form. These “new” forms include: creatine ethyl ester, creatine hydrochloride, buffered creatine, creatine nitrate and creatine malate. Don’t let the marketing hype fool you – not one study has ever been performed that has shown any of these “advanced” forms deliver any benefits above and beyond the monohydrate form. In fact, several studies show that certain forms, one being ethyl ester, are actually inferior. These supplement companies will jack up their price range for their “new and improved” creatine product that delivers equal or even worse results than the original. Save your money and stick with 3-5 grams per day of high quality, German-grade micronized creatine monohydrate. First off, there’s nothing wrong with taking a weight gainer in controlled amounts, just keep in mind that all they really are is a basic mix of whey protein and simple sugar. 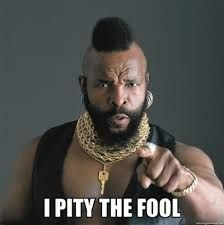 Yes, that’s it! A far better approach would be to add your own blend of carbohydrates and healthy fats to whey protein powder. You can add oatmeal, fruit, natural nut butters and healthy oils (like flaxseed or extra virgin olive oil) are all great options. This will give you the high calorie density that you’re after while still giving your body a great dose of minerals, vitamins, phytonutrients and fiber, rather than a bunch of nutritionally void sugar. The idea behind NO2 products is to enhance oxygen delivery and blood flow to your muscles in order to increase nutrient uptake and give you a permanent pump and lasts throughout the day. Usually, these NO2 Products are based off of different forms of the amino acid l-arginine, with l-arginine alpha-ketoglutarate being the most widely used. This is the perfect scam for dishonest supplement companies out there since l-arginine is a dirt cheap ingredient that can be easily added to pre-workout formulas and other products to hype up labels and keep production costs to a minimum. The problem for you as the consumer is that there is absolutely zero research showing a positive relationship between l-arginine and an increase in nitric oxide or muscular performance. That is correct, ZERO. If you’re looking for a truly effective way to enhance your workout strength, energy and focus, one suggestion is to use a natural human growth hormone (HGH) spray like Sytropin. It’s safe and legal! I know you’ve heard about glutamine. It’s been a staple part of bodybuilding supplement plans for decades. Even though many bodybuilders swear by it, the concrete research on glutamine is extensive and shows minimal results. First off, a very large portion of orally consumed glutamine never will make it to your muscles at all and is instead used as energy by the intestines. Percentages vary, but the average seems to be around 65%. Second, around 10% of your total protein intake is already made up of l-glutamine. That means if you’re consuming 200 grams of protein per day, you’re already taking in 20 grams of l-glutamine right there. Don’t think that consuming more is better. It’s not. Third, pretty much all of the standard claims about l-glutamine’s effects on bodybuilders have been debunked over many different studies. Save your cash – you don’t need to add l-glutamine to your supplement list. Now that you’ve seen our list, make wiser choices when it comes to your supplement routine and don’t be made a fool by companies that don’t have your best bodybuilding goals in mind.